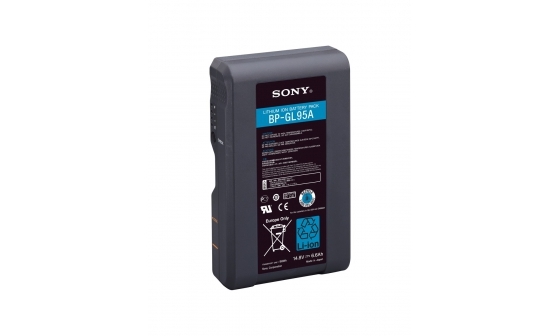 The BP-GL Series Lithium-ion Battery Packs come with a durable V-mount mechanism, which provides high compatibility with a variety of Sony professional camcorders, some portable VTRs, and video monitors. High power in a compact and lightweight body. The BP-GL Series boasts high power in a compact and lightweight body, plus intelligent functions.